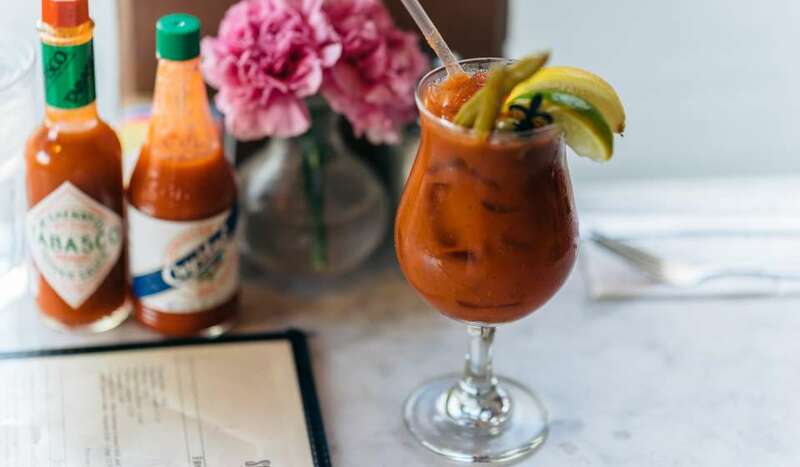 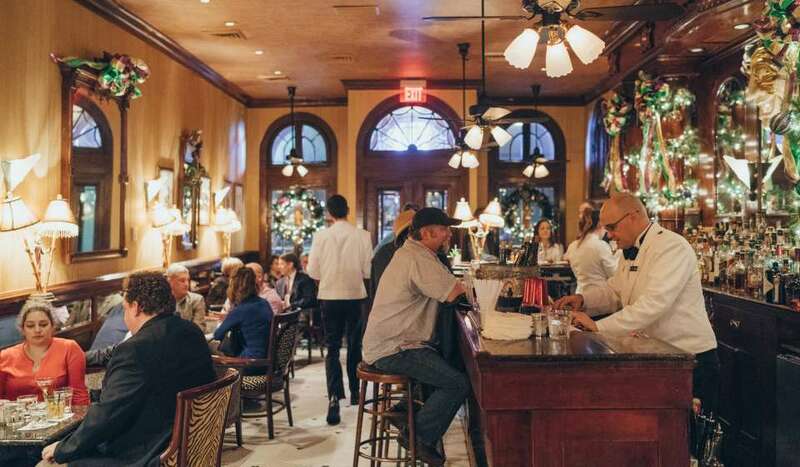 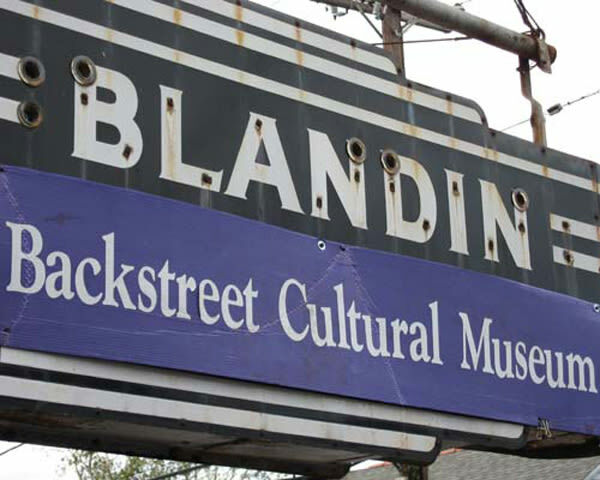 Tuesday-Saturday, 10 a.m. -5 p.m. 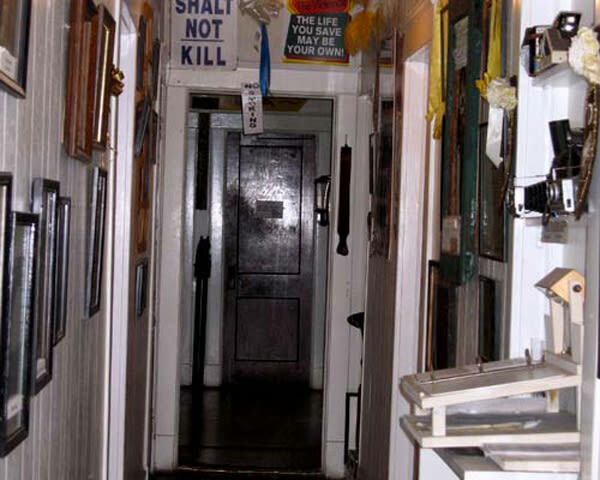 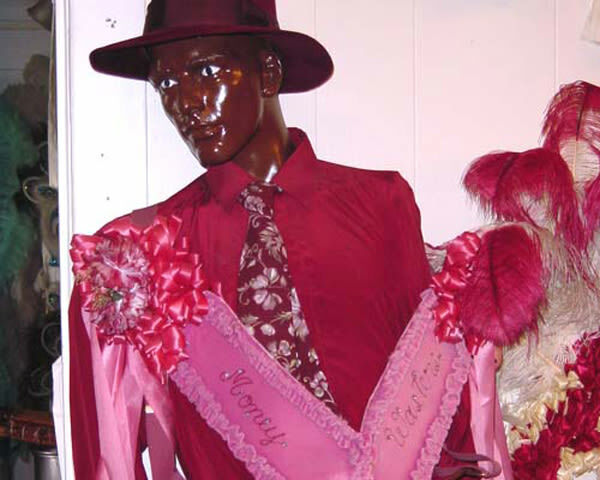 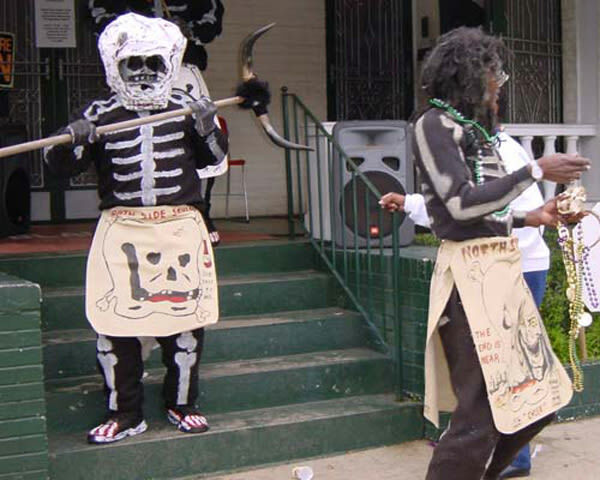 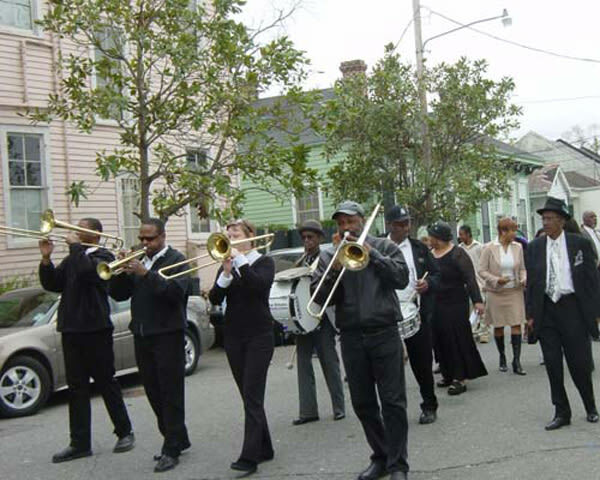 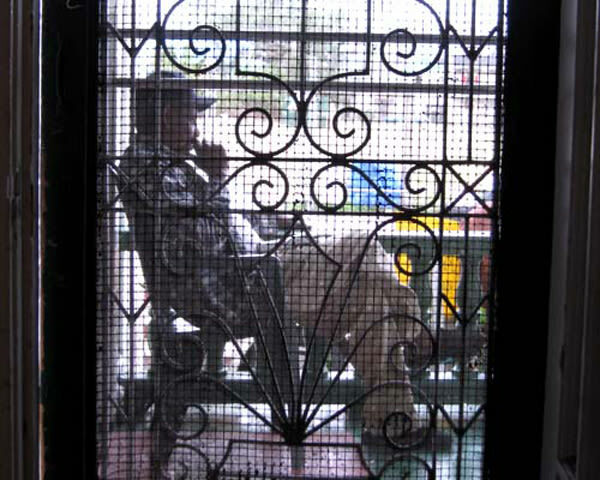 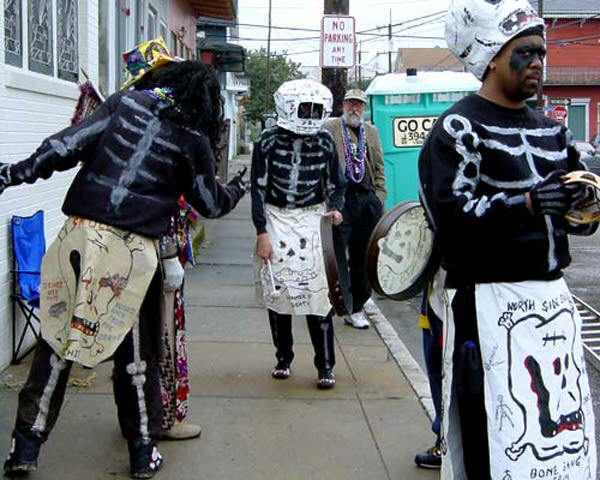 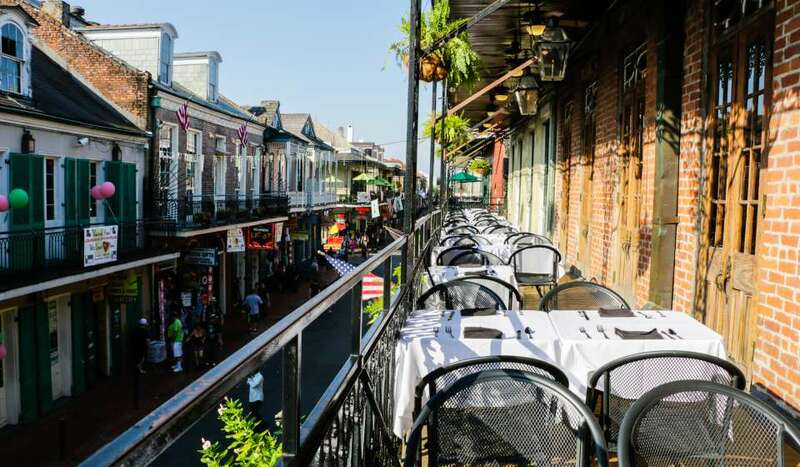 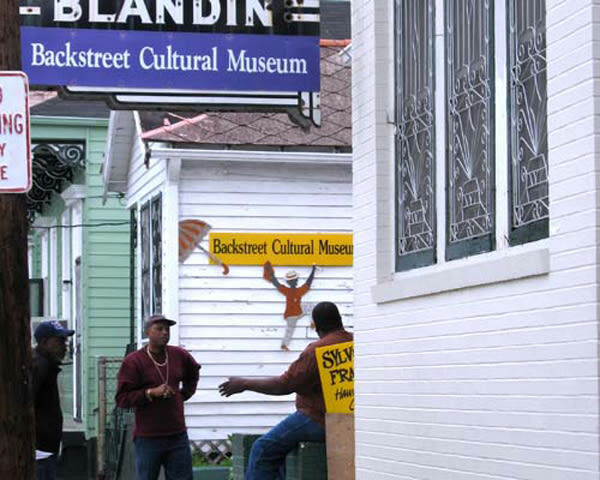 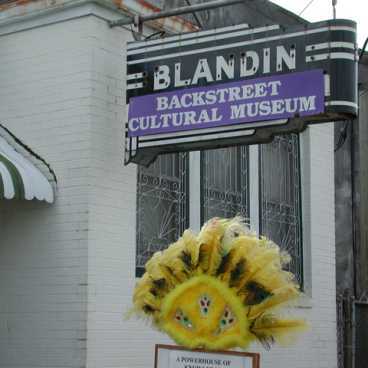 Located in the Treme section, the oldest African-American neighborhood in the United States, is the Backstreet Cultural Museum where visitors find an amazing assortment of memorabilia indigenous to Mardi Gras, jazz funerals and other traditions found only in New Orleans. 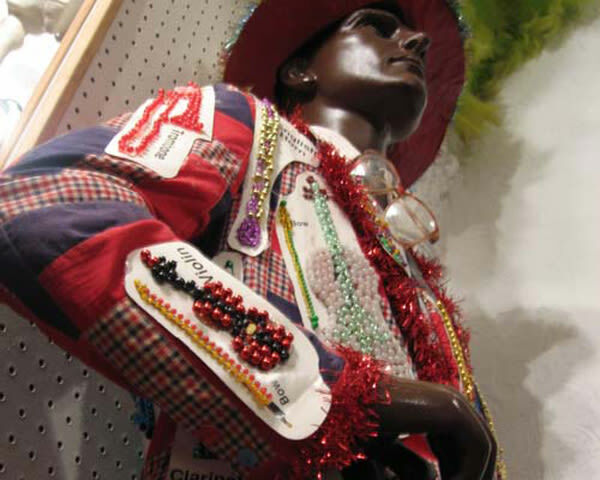 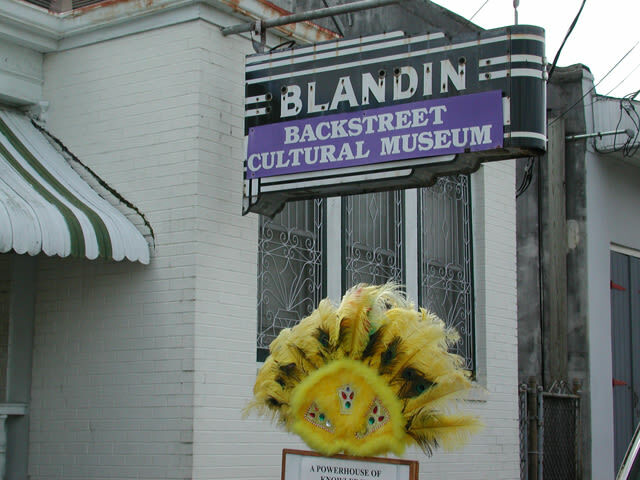 The Backstreet Museum, once the home of the Blandin Funeral Home, houses the city’s largest collection of Mardi Gras Indian costumes. 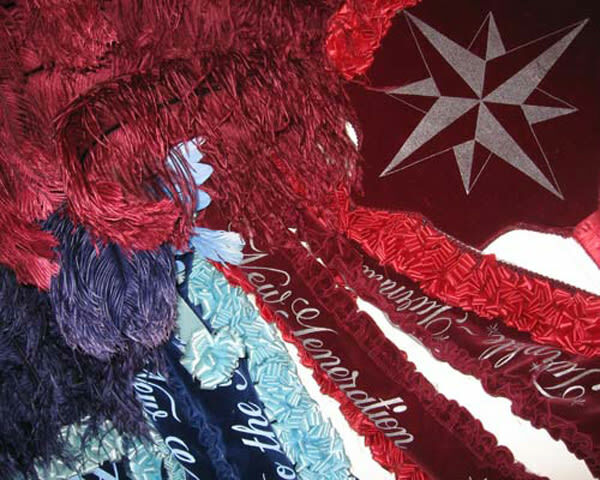 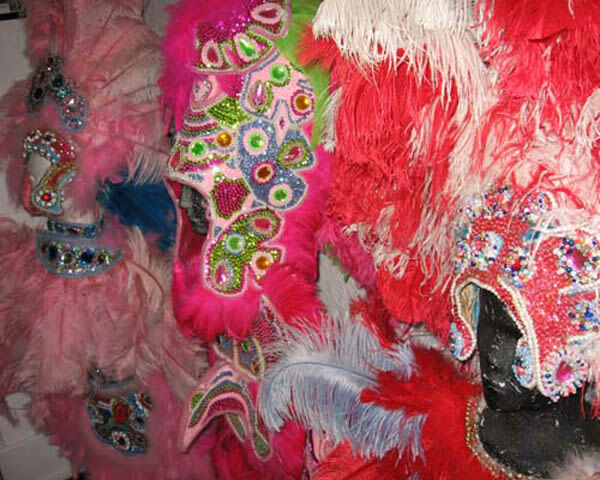 These brilliantly colored and elaborately designed costumes are hand made by local artisans. 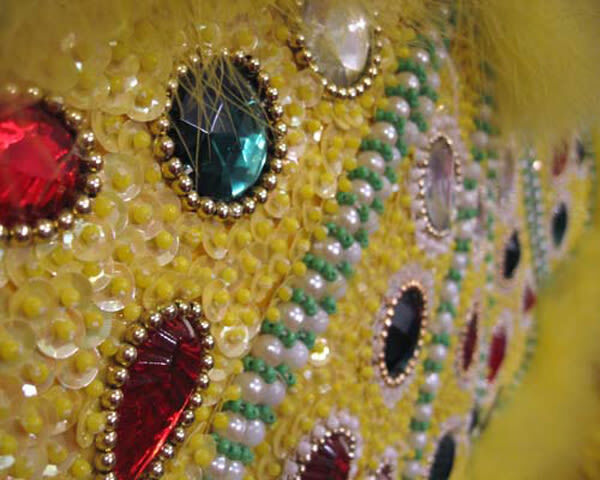 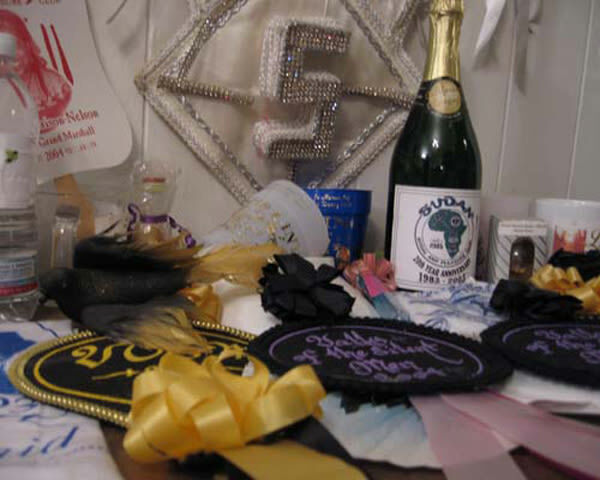 Each costume boasts thousands of beads, shells, rhinestones, sequins and feathers and takes a year to make. 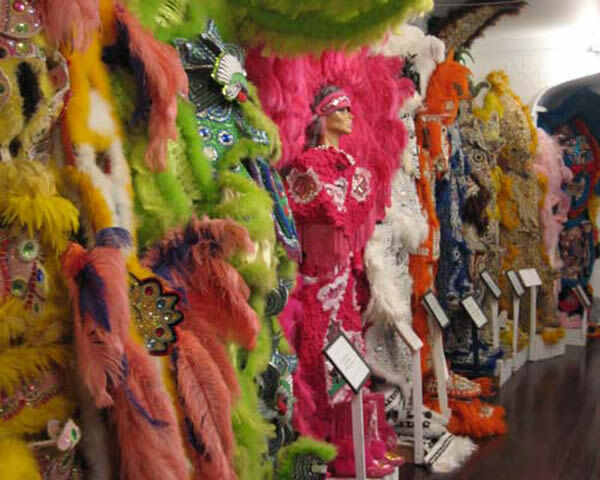 Costing upwards of $10,000 a piece, the costumes are artistic treasures. 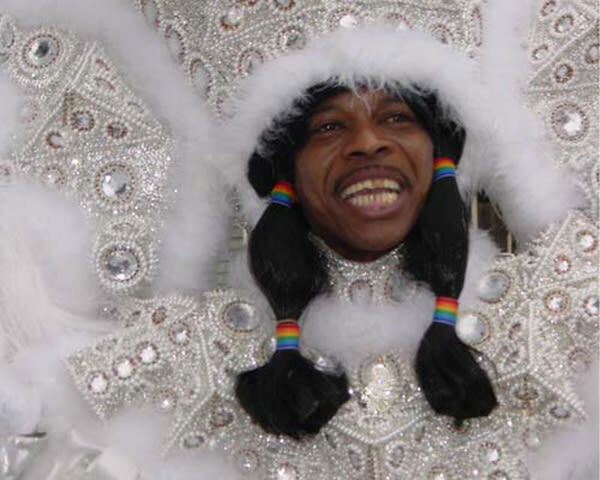 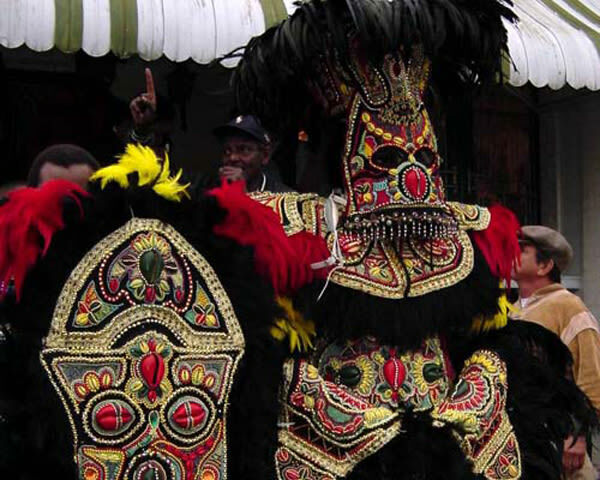 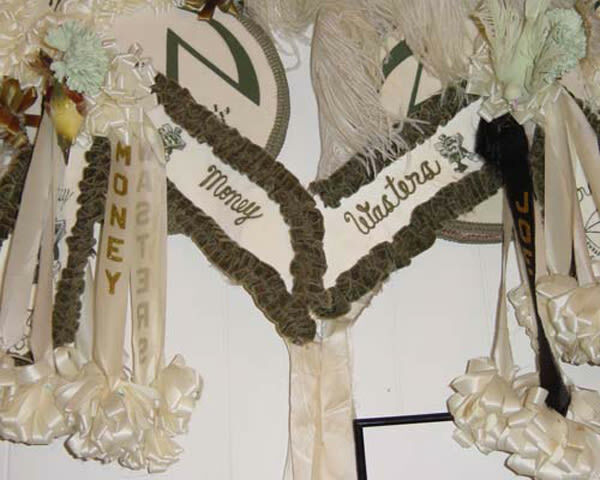 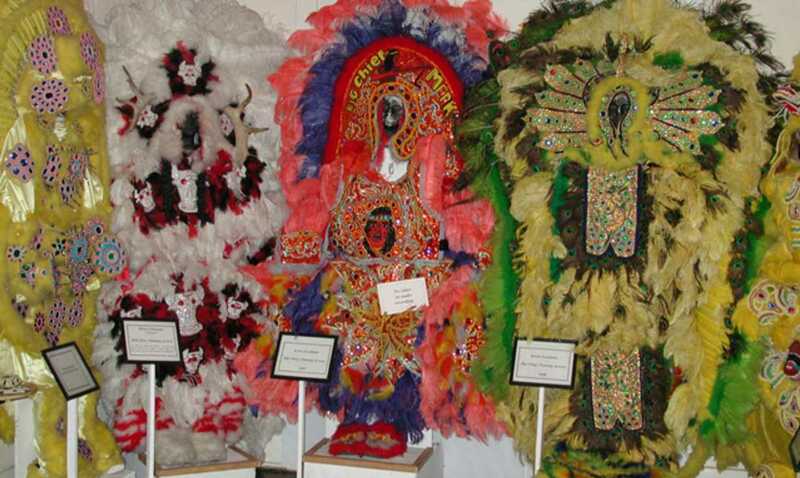 For generations, the Mardi Gras Indians have been an integral part of Mardi Gras history. 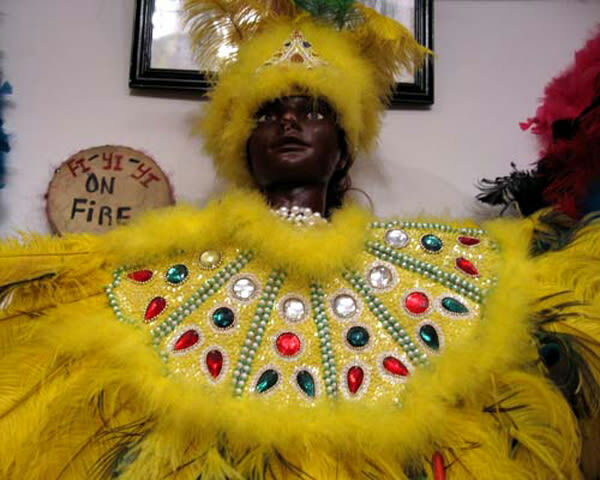 Mardi Gras Indians evolved from a bond African and Native Americans shared in the 18th and 19th centuries in the South, when runaway slaves sought safety among the various tribes living in the area. 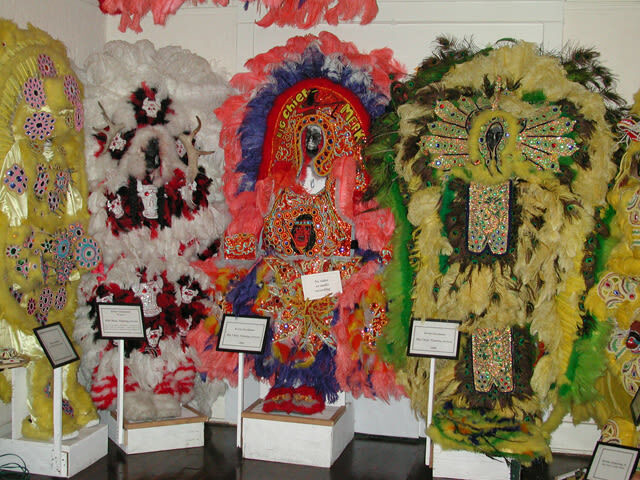 Today more than 20 tribes are found in Louisiana—White Cloud Hunters, Wild Apache, Flaming Arrows and Yellow Pocahontas, to name a few. 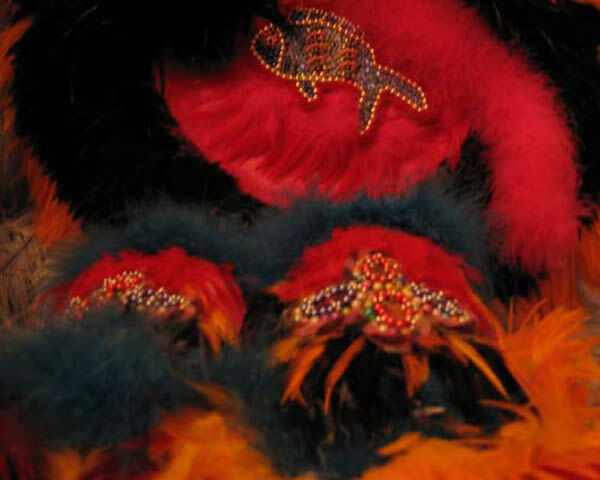 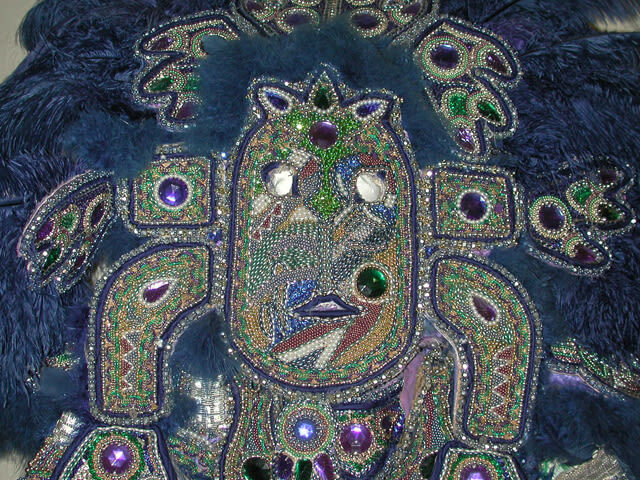 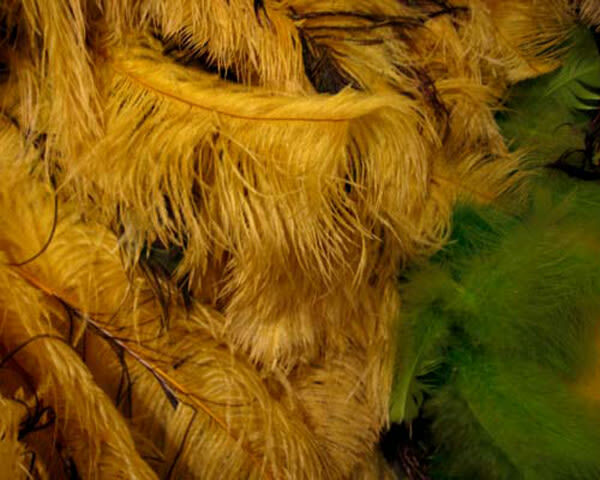 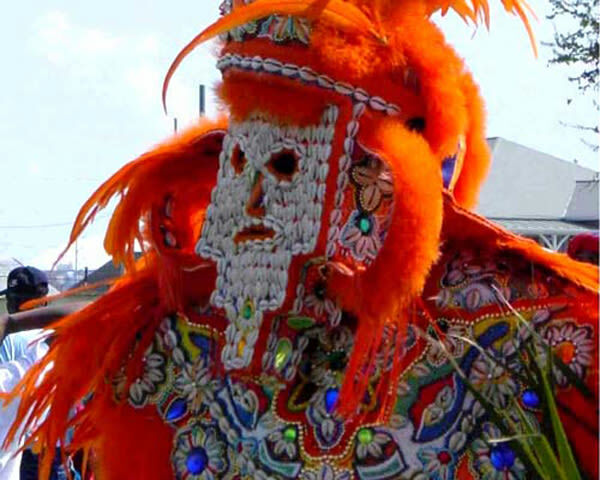 These tribes design and create elaborately beaded and feathered costumes worn only on Mardi Gras day and the Sunday preceding or following St. Joseph’s Day. These costumes can be worn only in the year in which they are created. 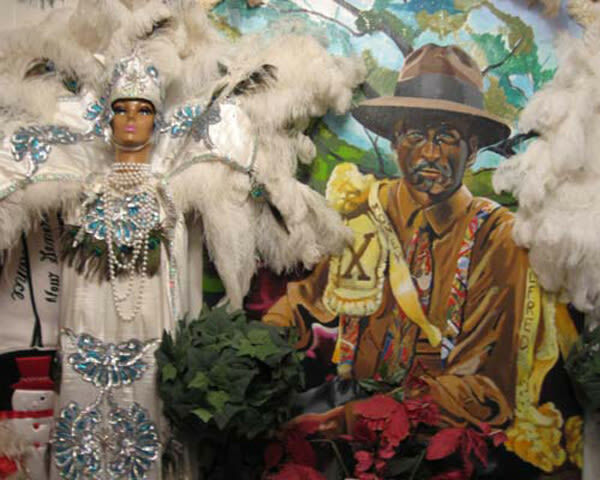 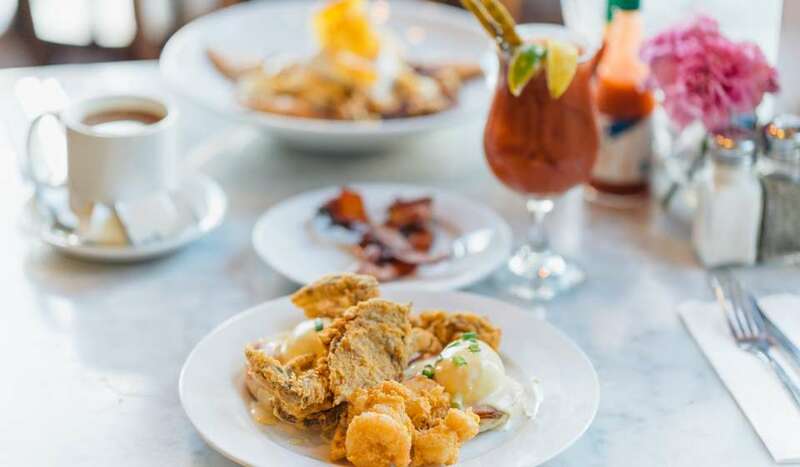 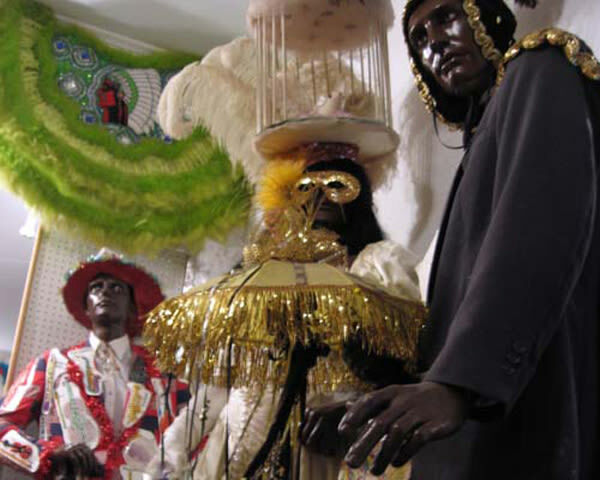 In this simple setting, the museum also houses an enormous collection of still photos and video footage of Mardi Gras Indians, jazz funerals and second lines.